Hoi An is located on Vietnam‘s central coast and is known for its very well-preserved Ancient Town. It is also referred to as Vietnam’s most beautiful city. 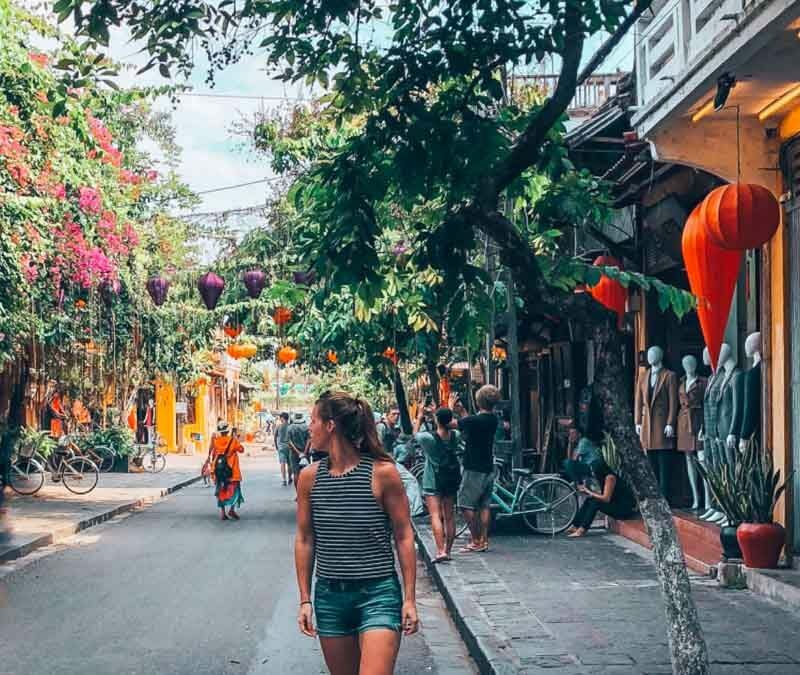 Hoi An’s Ancient Town has been preserved so well that walking through the city feels a bit like travelling back in time. 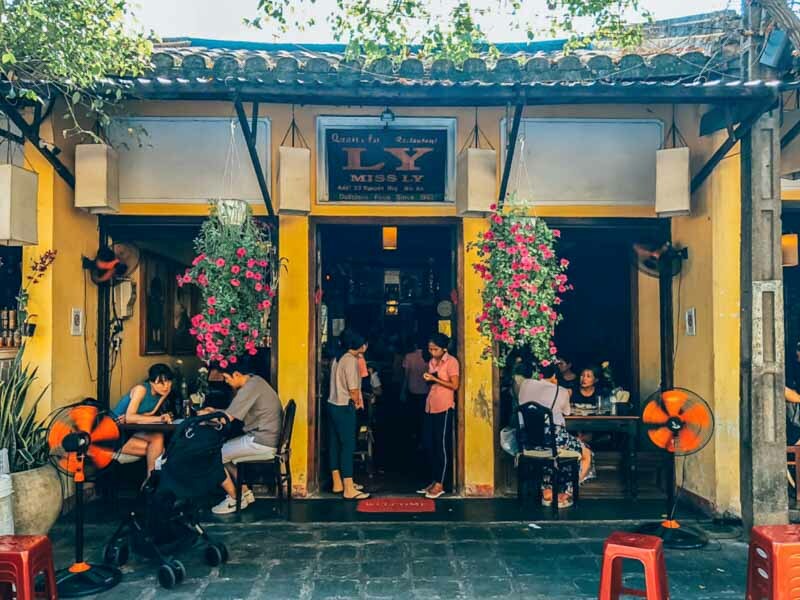 In 1999, the Ancient Town of Hoi An was declared as a UNESCO World Heritage Site and it officially became a living museum. If you’re interested in visiting the historic sites and temples, ticket booths there offer a ticket package (VND120,000) that will get you access to all 22 attractions within the UNESCO designated region. The walk along the river and through the streets decorated with ornate silk lanterns is a photographer’s paradise and one to remember. If you’re a beach lover, this is definitely a must and a fun way to spend the day. Most people chill out at one spot on the beach… but I, on the other hand, walked almost 15 miles that day! If you’re looking for a bit of a workout, rent a bicycle in town and cycle to the beach. Along the way, you will pass by beautiful rice fields that will make this ride worthwhile. 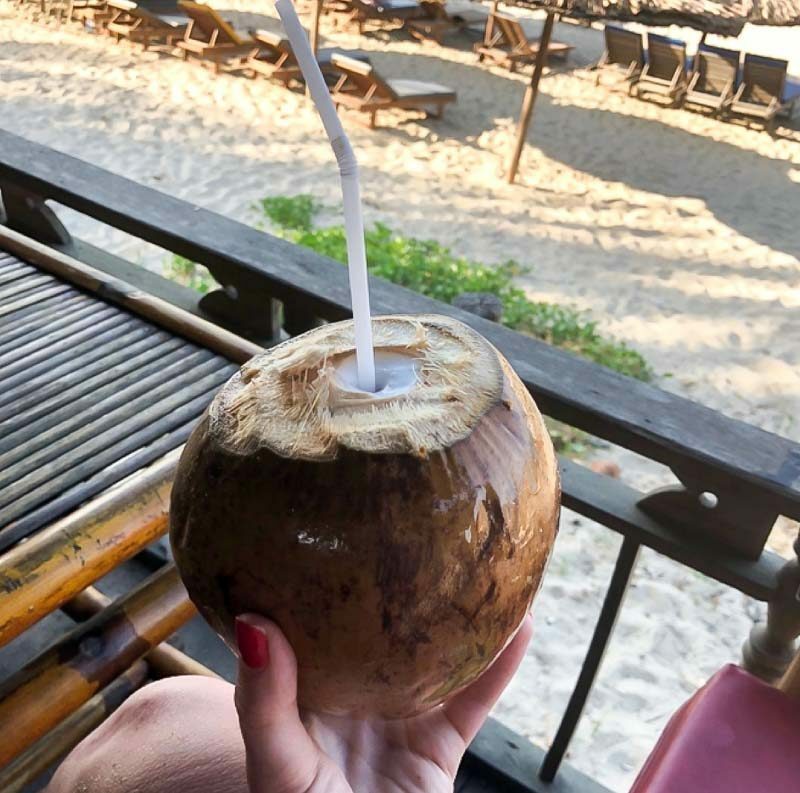 Don’t forget to hydrate when you get there by grabbing a fresh coconut in any of the beach bars. 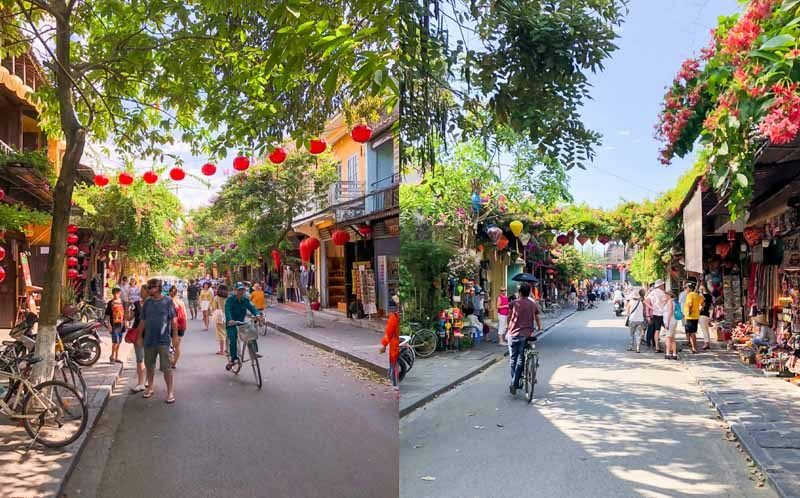 Speaking of cycling, one of the best ways to see Hoi An and its surrounding areas is to hop on a bicycle and explore. Luckily, most accommodations in Hoi An have bicycles for guests to use free of charge. Otherwise, there are plenty of rental shops throughout town. 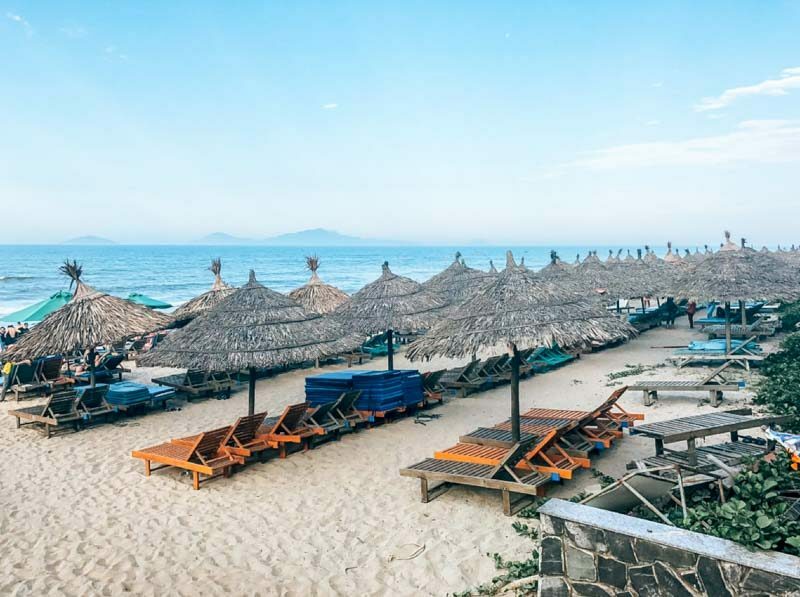 Since Hoi An is pretty small, within 30 minutes it’s possible to get from the Ancient Town to the rice fields and within an hour, you will be at An Bang Beach. The area is pretty flat so it’s not a very challenging cycle-ride; however, the climate will likely tire you out. Make sure to dress appropriately and bring plenty of water as Hoi An is hot and humid majority of the year. Take a breather from all the cycling and exploring and have lunch at one of the many quaint cafes in town. I recommend dropping by Miss Ly Café for some Vietnamese food and coffee. For starters, make sure to get one (or two) portions of White Rose Dumplings (banh bao) (VND55,000) because they were so good! The dish is basically steamed shrimp in rice dumplings with onion, lemon and chilli, so order some Vietnamese iced coffees to cool down. The other dish to order is the Fried Wontons (Hoanh Thanh Chien) (VND100,000). These fried wontons actually looked like tacos. Stuffed with sauteed meat and topped with tomato, shrimp, onion and a truly magical sauce, these are an absolute must. You’re on holiday, so of course, you should treat yourself. Travelling in itself can be tiring, so schedule some rest and relaxation into your itinerary. 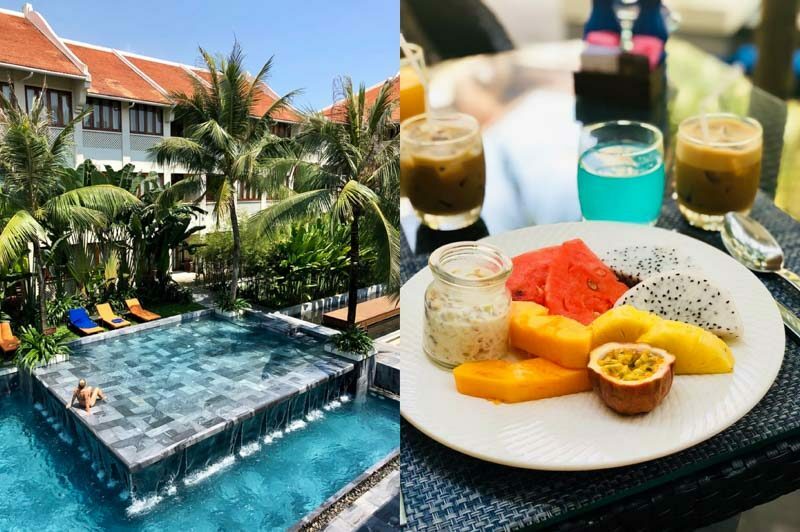 I was blown away by my experience at the Almanity Hoi An Wellness Resort, which is a quick walk from the Ancient Town but also far away enough from the hustle and bustle of central Hoi An. Every stay at this resort even comes with a free one-hour body massage! After 10 days on the road, it was amazing to break out a comfy robe and walk over to the spa and get completely pampered. If this sounds right up your street, I recommend going to the Four Plates Restaurant (also in the resort) after for their brunch buffet, as it was one of the best I’ve ever had – especially the fruit selection and juices. 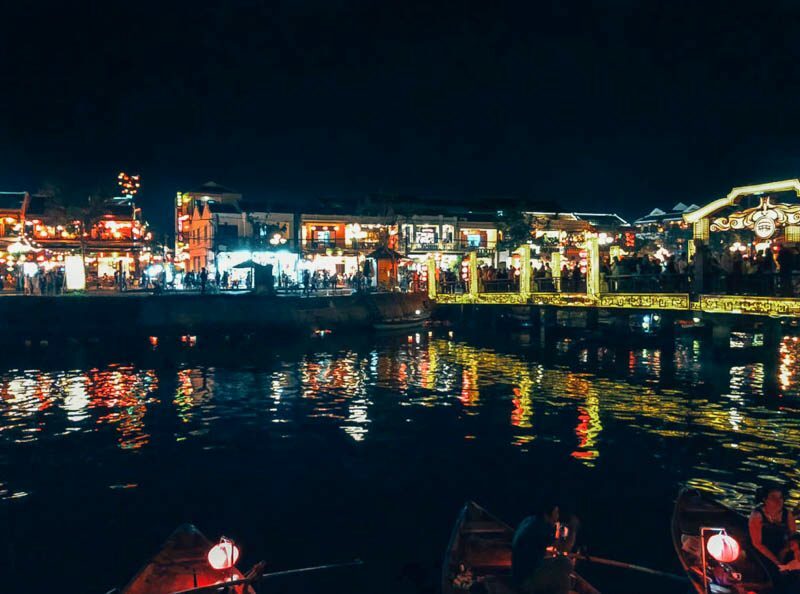 Hoi An gets even more beautiful at night so around dusk, make your way over to the river and experience something magical. 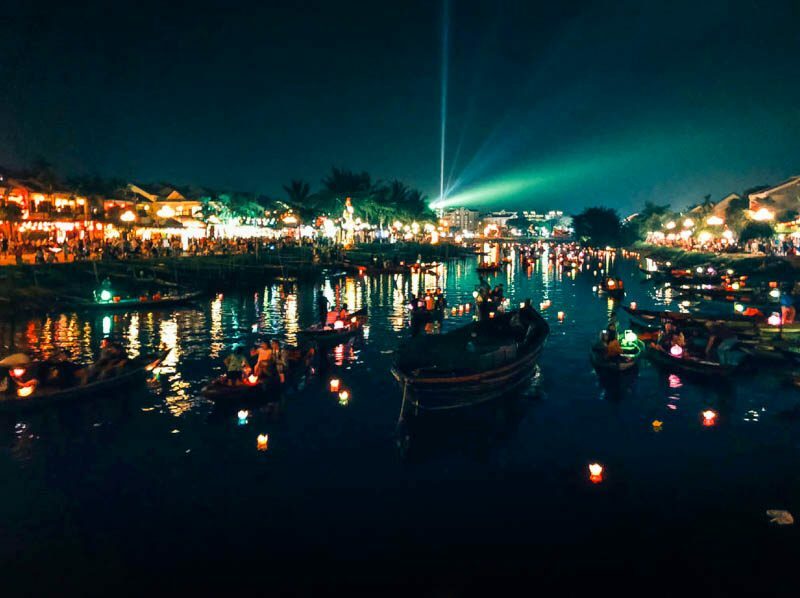 You’ll find hundreds of colourful paper lanterns (with a candle at the bottom of each) floating down the river and tourists in little boats trying to get that amazing photo. I opted out to spectate from the river bank but it was still a beautiful tradition to see, and all the lights and colours were simply amazing! 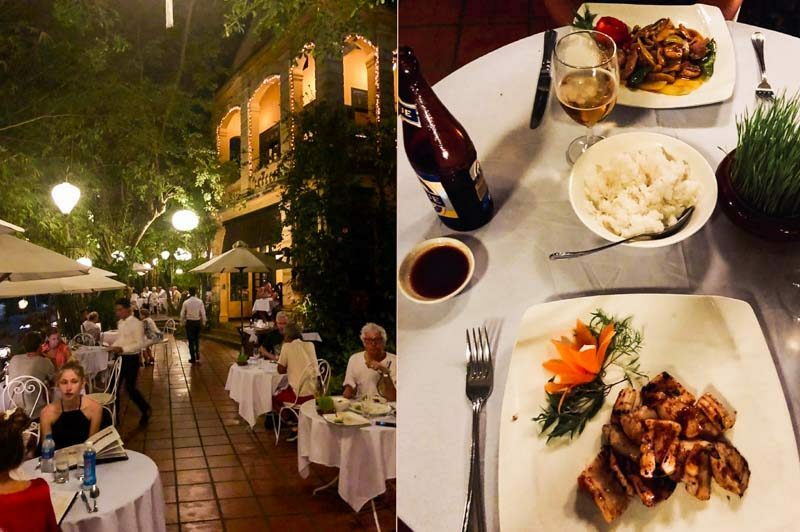 Located right on the Thu Bon River, Brother’s Café is the best spot in town for a dinner with your loved one. The restaurant has an inside dining area as well as an elegant open garden overlooking the river – super romantic and such a great place to watch the sunset. The menu offers many traditional Vietnamese delicacies to choose from; however, I recommend trying the seafood dishes (starting at VND200,000++). 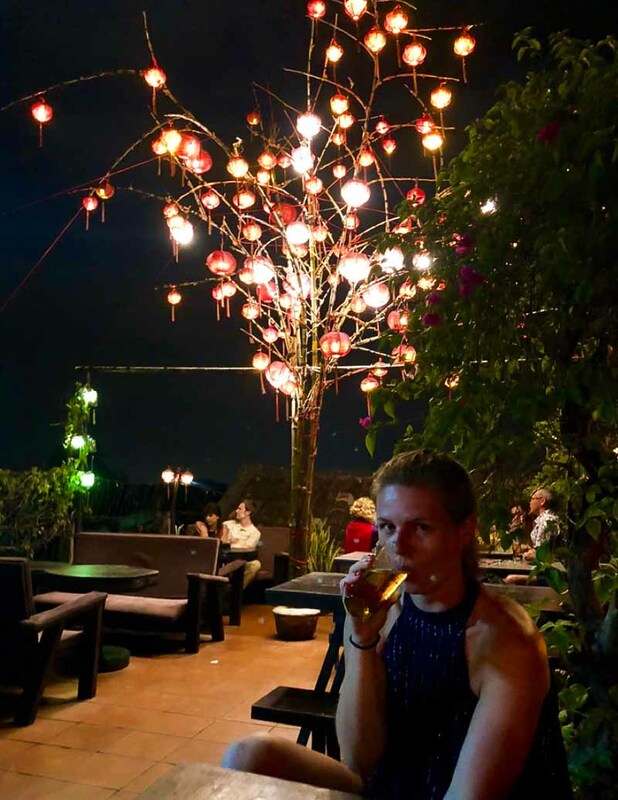 Who doesn’t love a good rooftop bar? When you’re in Hoi An, remember to go for drinks at The Chef. You’ll be able to spot the big lantern tree from far away (that’s how I found it!). When you climb up three stories and reach the rooftop, you will be rewarded with an amazing view of the city. Just bear in mind that it closes at 11pm, so don’t wait too long else you miss out on this bar’s eclectic atmosphere. 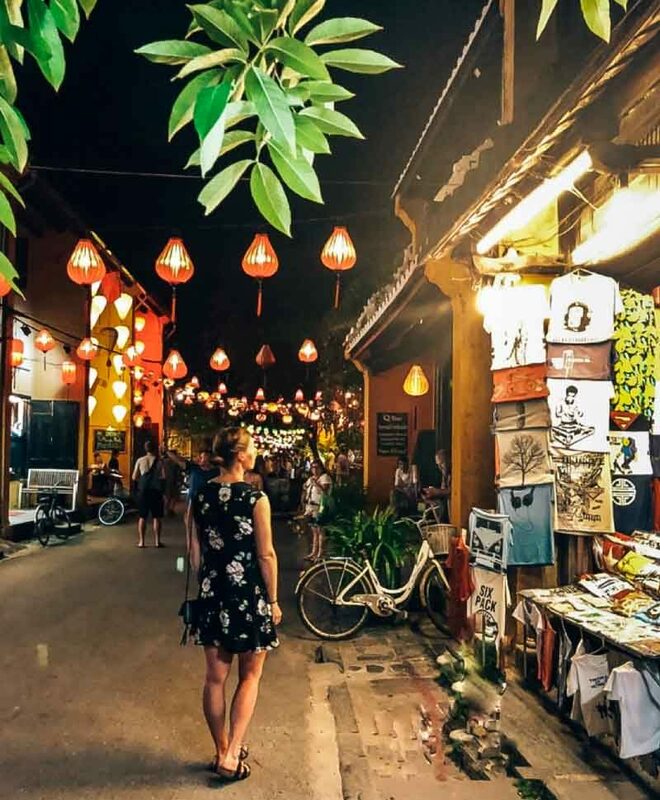 If you’re looking for something specific to bring home from your travels, you will likely be able to find it in one of Hoi An’s markets. The night market area is located right when you cross the bridge but in reality, all of this town is one big market. This city is packed with cute boutiques and coffee shops. From woven handbags to custom tailored clothes, you will find it all and then some. Head over to the Central Market located right on the riverfront to pick up some fruits or snacks for your day trips. There’s also a bunch of small food stalls where you can try many Vietnamese delicacies. 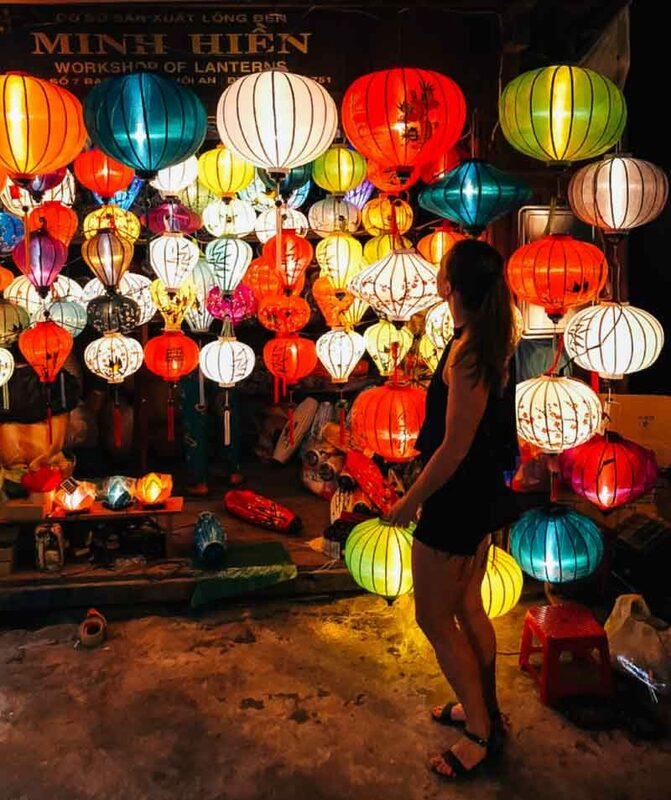 Everywhere you look in Hoi An, you will find silk lanterns. They line the boutique fronts, light up the streets at night and hang from the trees creating a fairytale-like feel. I heard that some locals hang them in front of their houses to bring happiness, health and most importantly, good luck. 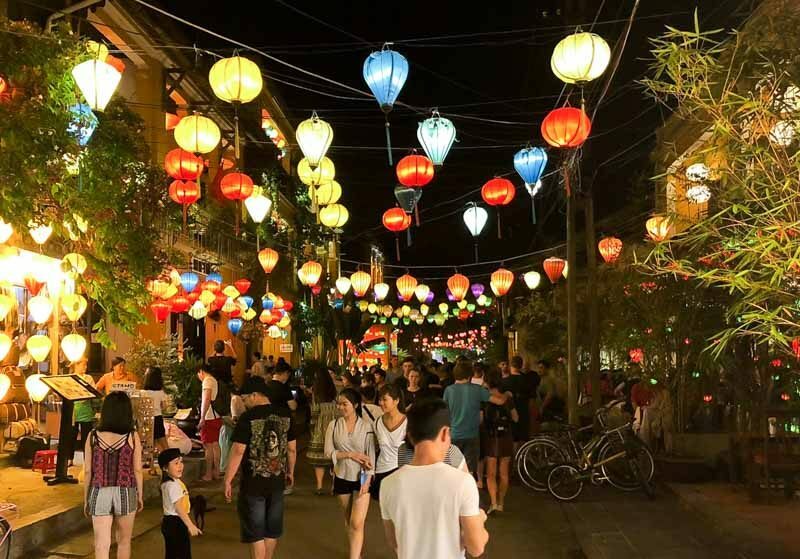 If there is one thing you should bring back from your amazing trip to Hoi An, nothing will remind you more of this quaint town than a silk lantern. Luckily, lantern shops are nearly everywhere offering every size, shape and colour available, so take your pick! 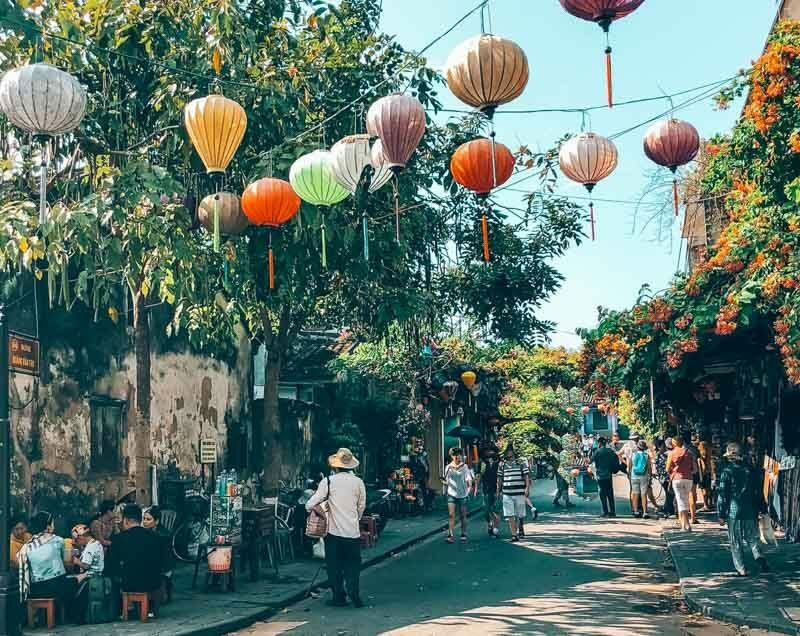 I was a bit sceptical about adding Hoi An to my itinerary but I ended up ABSOLUTELY loving it. 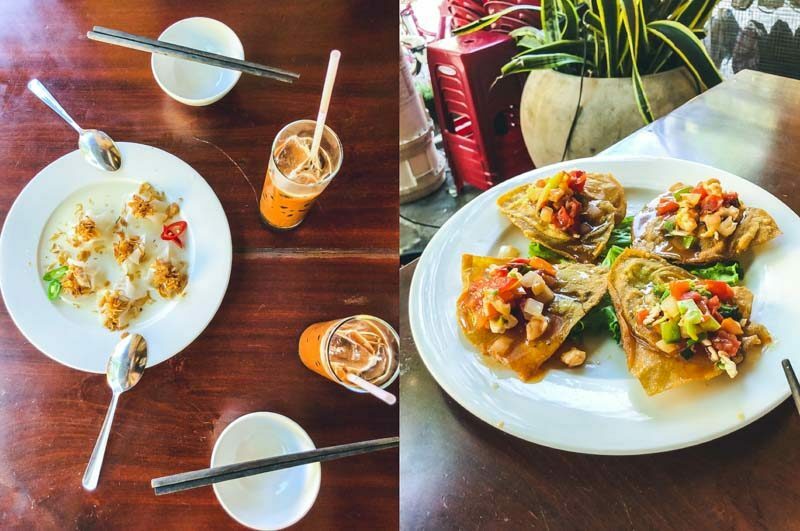 I highly recommend a visit simply because this UNESCO- listed town has a bit of everything: culture, beach, beautiful architecture, lots of lanterns and those dumplings (don’t forget them!). The closest airport (Da Nang) is about a 40-minute taxi ride away so it’s not super easy to get to but it is worth it. 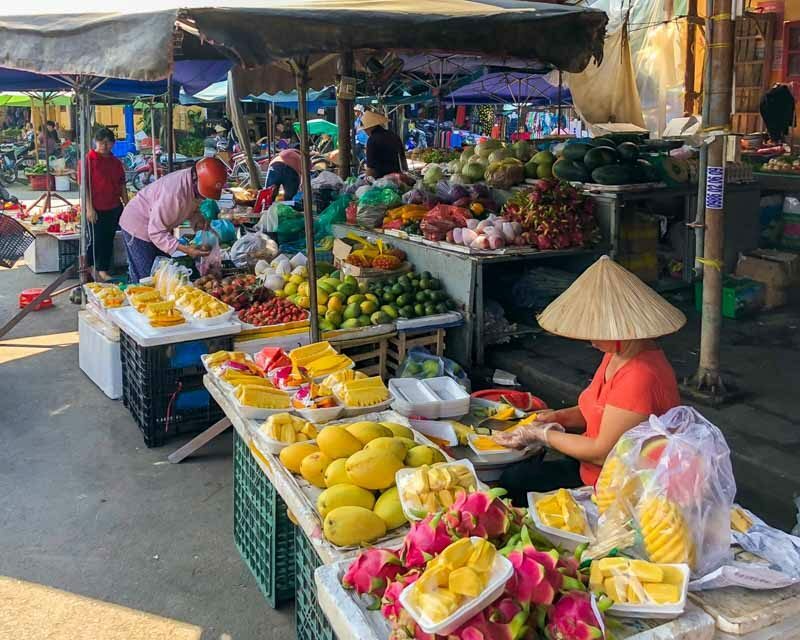 Da Nang is only about an hour and a half-long flight from Ho Chi Minh City which makes adding Hoi An into your Vietnam itinerary very doable. Happy travels!